For the last 30 years, I have been writing about a sophisticated inner system of archetypal defenses (known as the “self-care system”), which forms what I believe to be a core complex of the traumatized psyche (see Blake Painting of ‘The Good and Evil Angels Fighting for Possession of a Child’). The purpose of this inner structure (witnessed in both mythology and dreams) seems to be to dissociate, protect, and defend a sacred, innocent core of en-souled selfhood from further violation by experience. Unfortunately, such protection is obtained at a very high cost, because by protecting and sequestering the lost heart of the self, the dissociative defenses also cut it off from conscious feeling and hence from life. Psychotherapy, therefore, often becomes a battle between life- and anti-life forces on behalf of the soul. In this slide-illustrated lecture, Dr. Kalsched will present both ancient and contemporary imagery of this core complex and its role in both protecting and persecuting the orphaned soul of the trauma survivor. Clinical vignettes will illustrate the process through which the lost soul is contacted and invited into relationship. 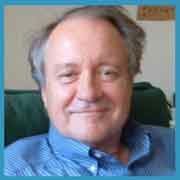 Donald E. Kalsched, Ph.D., is a Jungian analyst and clinical psychologist with a private practice in Santa Fe, New Mexico. He is a member of the C.G. Jung Institute of Santa Fe, a senior faculty member and supervisor with the Inter-Regional Society of Jungian Analysts, and lectures nationally and internationally pursuing his inter-disciplinary interest in early trauma and dissociation. He is the author of numerous articles and two major books, The Inner World of Trauma: Archetypal Defenses of the Personal Spirit, (Routledge, 1996) and his recent Trauma and the Soul: A Psycho-spiritual Approach to Human Development and its Interruption (Routledge, 2013). His latest book explores how psychotherapeutic work with trauma survivors sometimes provides unexpected access to an ineffable world of soul and spirit.